ES Series Castors are a modern slim line castor suitable for furniture, point of sale applications and a range of trolleys and equipment. Its stylish light grey body and non marking grey rubber tyres make this range a popular choice. 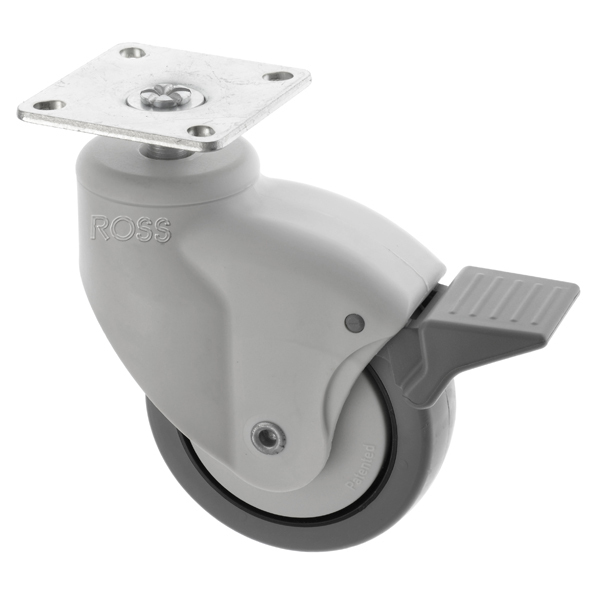 With two wheel sizes , swivel or braked versions and a plate fitting for ease of attachment these designer castors are simply a must have.